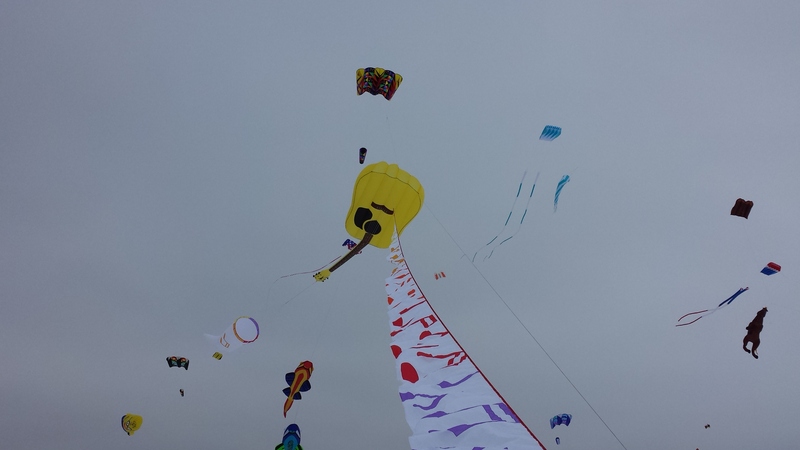 While it was a bit cold, the wind could not have been better this year for Clear Lake Iowa’s Color the Wind Kite Festival. 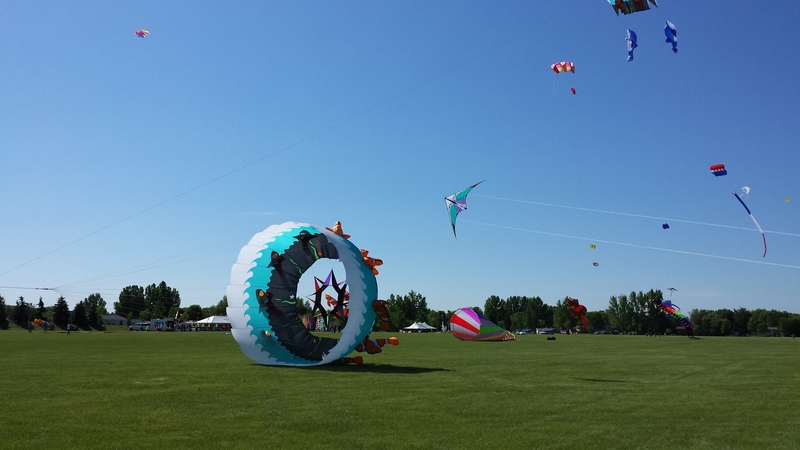 Larry and Kay Day always put on a great show, and it is always a great day to take in the sights and sounds of Kite fliers from all over the midwest. This festival always draws a very large crowd, and Larry never disappoints. There will be quite a few festivals coming up i the near future, so look for quite a few new pictures and posts coming soon. Who knows where we will be this year. I really have not done a lot of winter stunt kite flying ever, but this year, I think I will plan to try and get out and do more. One thing I also am thinking, is shrinking my inventory even more. 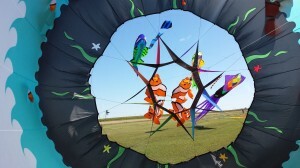 While I have paired down my single lined show kites, I really need to think about doing the same with my Stunt kites. I have a ton of them I just plain and simple do not fly any more. I mainly only fly the prism stuff any more, why? because it just plain and simple flies. Even their cheap kites fly like expensive ones, They have balance, dexterity, and you really can feel the kite in the line. I really lately have began to want to fly more stunts. I am not sure why, but I really have been missing the flying on two lines, having fun, and really always changing how I fly. La Vista Nebraska, October 12, 2014 One Sky, One World festival. So 2014’s flying season draws to a close. It was a good year, flying in a blizzard, flying in the rain in Italy, the First fly in an Omaha park in a very long time, and tolerable weather for all of the flys. I had fun, at all events. It was fun to make new friends, see old friends and enjoying the time with everyone. Yesterday, I had a great time with my friend Todd. I did not put the large show kites up, instead, I flew stunt kites, 2 line or 4 line kites that you can control the speed, direction and balance of to make it do acrobatic things in the sky. It was good to spend time with my friend, and it was also fun to let other club members be the main draw of the festival. Sometimes, it is just fun to blend into the crowd, be part of the scene, not steal the scene. In 2015, Jen and I are going to mix things up a little bit. We are going to at least 2 new festivals, and not attending a couple of our regulars, we are also hoping for a big surprise very close here in Omaha, but that is for another post. People say, variety is the spice of life, and I guess, in 2015 we will find out if that is true. This winter, I have some pieces to fix, and I might actually try my hand at making something, but we will see, I have not decided if I will or not yet. 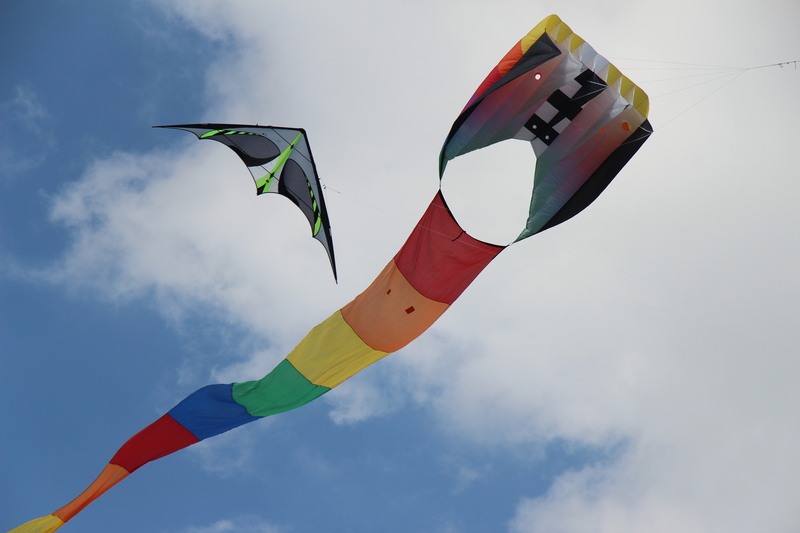 Yesterday was cold, but the wind was good, flying stunt kites was a refreshing break from the normal routine for me, so I am very glad I did it. Here’s to a great 2014, and I really hope an incredible 2015. I have added a few new pictures to the Pictures page. Thanks to John Hlavacek for his excellent camera work from some of our festivals. 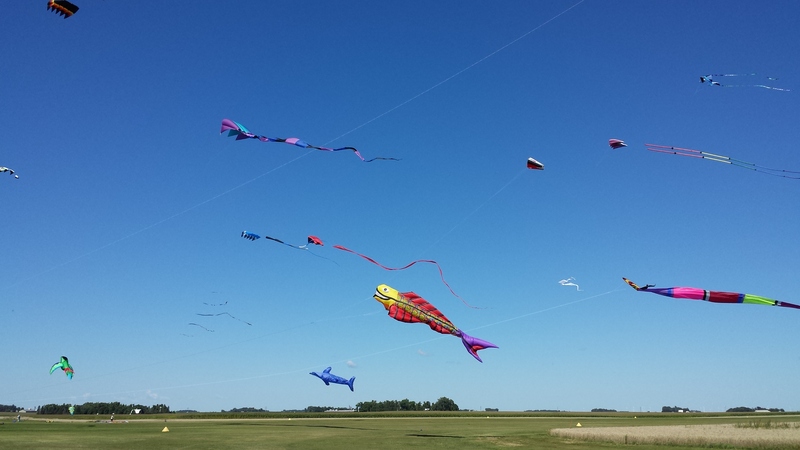 While the fall flying season has really come and gone quickly, I am always surprised how fast the time goes for our planned kite festival attendance. While Papillion was a good fly, something I realized was that I never hardly fly my stunt kites enough at these festivals any longer. 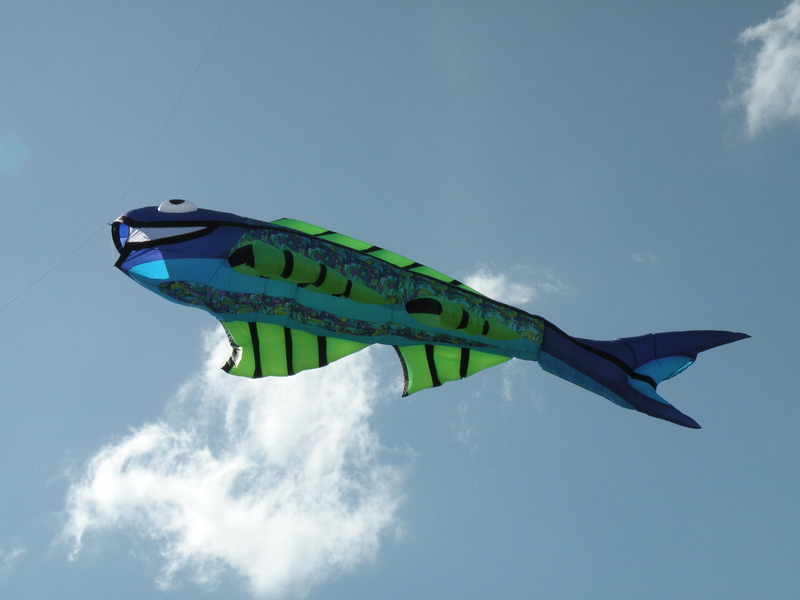 While we are invited to certain festivals and are expected with these invitations to fly the big show kites, I have decided to use this local fly this weekend to pretty much just fly my stunt kites. 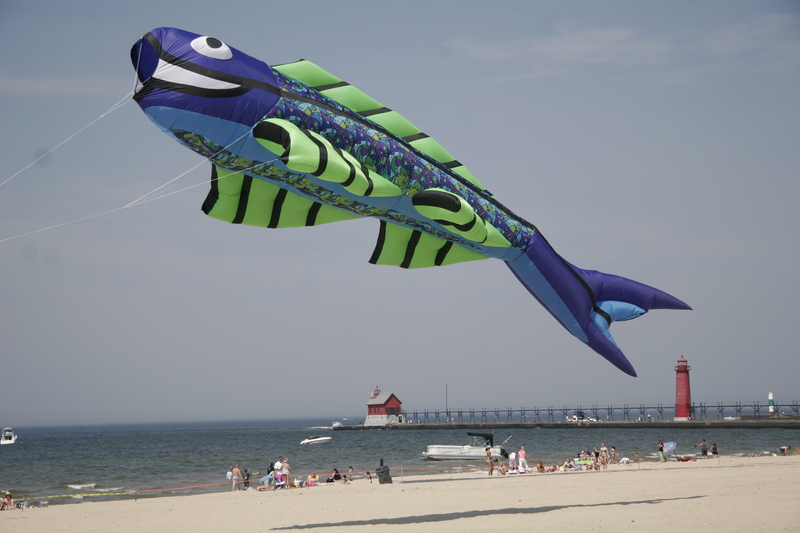 We have 3 show kite pilots in the club, which in all honesty is a large amount of show kite flyers in any large club, let alone our small club. 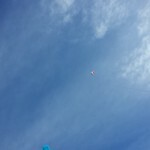 So since I can take advantage of both Aaron and Don flying the big stuff, I am going to take advantage of the anonymity of the La Vista fly and fade just flying stunts. 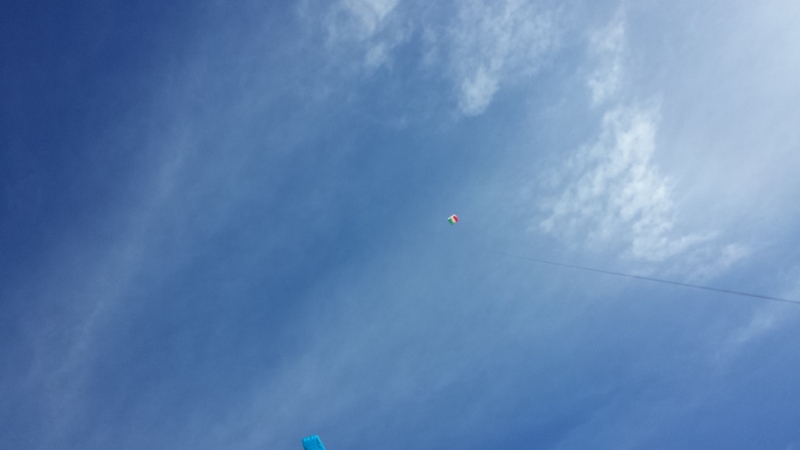 I can at times lose 2,3,4 hours at a time with ear buds and a stunt kite. The Mega fish will be at this festival, Aaron wants to pair it up with his, and I plan to get out possibly my low maintenance 252, just to contribute, but the guitar, and Fish bol will have a break this time. They will be back in the future, but I think the break will be fun. I have to say in the short 12 years or so I have been flying at festivals, this is the first year ever I remember being able to get in almost EVERY planned flying day in a year. While our dates are always in the spring and fall due to better flying conditions, this also is the time of year we realize rain, and it seems while we plan the best we can, rain seems to always affect about 50% of all festivals we get to. Really, for me, Italy was the only fly with absolute adverse weather. Clear Lake was an experience flying in the blizzard, but hey, there was good wind! 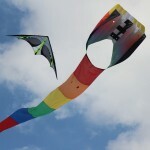 Time to have some fun this Sunday, and hopefully Jen will get some great pictures of my collection of stunt kites in the air. Jackson Minnesota was great flying! Comments Off on Jackson Minnesota was great flying! So in the past years, I would give it maybe a 50% chance we would have events either rained out in the fall or conditions not suitable to flying. This year has been different, from the Blizzard in Clear Lake this year (Still had great straight winds) to the winds in Italy, as well as All but one fly this spring being great weather, this fall flying has started off great. From the Lewis and Clark finale fly in August, (12 mph winds) to last weekend in Jackson, Minnesota, we have a had a great start to the fall flying season. I am hoping the upcoming local flys Ditmar’s orchard this weekend, to Papillion and LaVista are also as good as what Jackson was, (10 – 15 mph, good steady winds all day) Speaking of Jackson, this has been a great little festival that continues to grow each year. 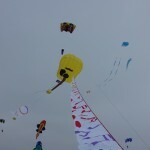 It has been a pleasure to watch Chrystal Dunker continue to grow this each year of the 12 she has been keeping this going and expanding I feel I can remember when maybe 6 of us would show up at the Jackson airport to fly, to know I believe I counted over 15 big kite flyers participated last weekend. I appreciate those who are willing to grow festivals such as this, as it only helps the public better see what our hobby is all about. 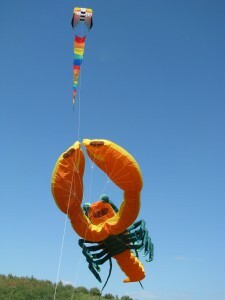 It’s that time of year, that the winds begin to pick up, and the fall flying season starts. 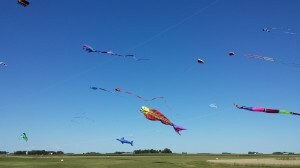 While we are missing the 24th annual kite fly at Callaway, Nebraska, there are many other fly’s coming up that we will be a part of. There is always some place we can fly, always some place to relax, and always someone who enjoys the show. 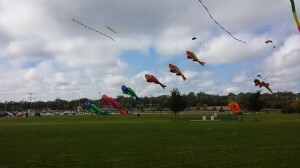 Last weekend at Youngman Park, the City of Omaha Parks and Recreation (Twitter: @OmahaPRPP )were more than accommodating to let us fly for the finale celebration of the Lewis and Clark Kites display that was all over the metro for the last 3 months. It was a great chance to get to fly for the city of Omaha, and we are genuinely hoping the city continues to grow this past just a one off celebration. It was amazing to see everyone that came out for this, whether it was for fishing, yoga, rock climbing, or Kites, I believe the entire public had a great time. Keeping this moving forward would be great. While it is fun to travel to many other places to fly, there is something to that saying, “There’s no place like home” and being able to sleep in your own bed at the end of the day really adds to the attractiveness of this. The Purple Fish has returned! Comments Off on The Purple Fish has returned! While most of you have no idea what I am talking about, I had decided a year or so ago to sell my large Premiere Mega Fish to a friend. 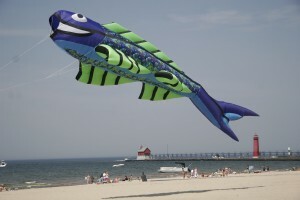 Little did I know I was selling my wife’s favorite kite. When I learned that, I decided that since this is a 50/50 thing, I needed to get another one. Well last Friday, I took delivery of a new Purple Mega Fish, soon to make it’s debut this summer at a park near you, that is, if you live in Omaha! This fish is as big as a greyhound bus. We have compared it to an actual bus at one of our other events. It seems to be a favorite of attendees to many of the festivals we go to.